Light green. Typical savignon nose. Crisp and clear. 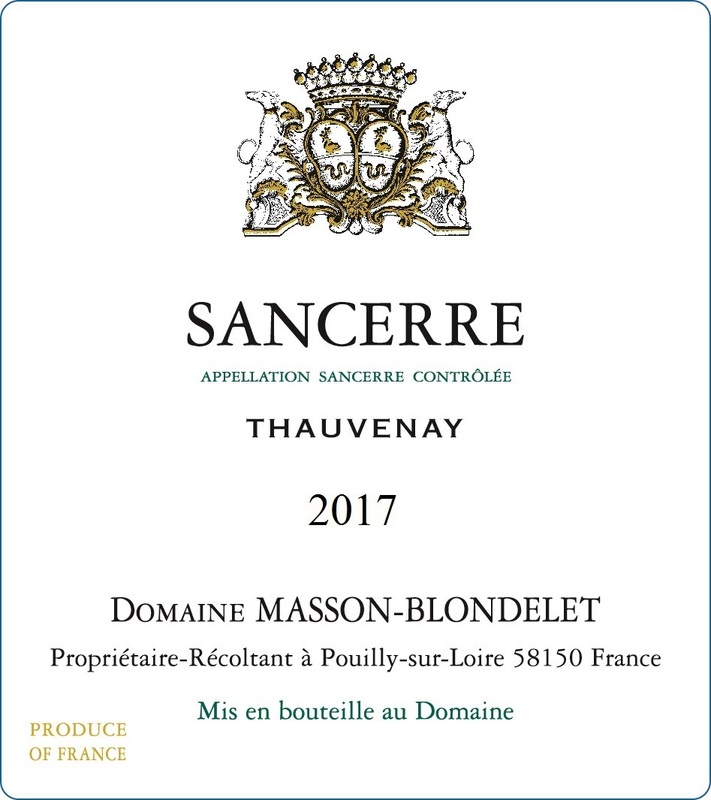 Great Sancerre. Probably the best white wine that I’ve recently tasted. Um delicioso Sauvignon Blanc da região de Thauvenay, com notas de frutas cítricas com pera, uma deliciosa acidez bem persistente e no final é bem elegante! Buonissimo Sancerre. Un sauvignon blanc elegante e delicato. Da bere lentamente e non troppo freddo per dare la possibilità al vino di esprimersi. È talmente buono che uno lo berrebbe tutto di fila. Qualità alta, un vino sano. Un nouveau millésime testé et je confirme la bonne impression. Un peu brouillon à l’ouverture mais ensuite un beau nez pénétrant sur le citron, la rose et l’anis. En bouche puissance, salinité, belle longueur, généreux. On a vu des Sancerre plus tendus, mais c’est très gourmand. Very good nose on this one. At ease comfortably displaying grassy tones, herbaceous impressions, pirizines liek paprika and buxus and all with great depth. Med+ acidity, tingling in the tongue. Fresh balanced flavors with a pinch of iodine. Textbook young quality Sancerre. Very good. 16 pts @ Henri Bloem. Apples, limes, peaches, pretty floral with evident wet stone type mineral notes. Tasty Sancerre. Nice gentle minerality, long finish, slightly tarter than citrus. But the long finish makes up for it. This is very nice young Sancerre I had with my friends. Domaine MASSON-BLONDELET was established in 1975. They have focused on PN and Sauvignon, and all their vines are cultivated without weed killer, no fertilizer, no insecticide. The music is an eclectic mix of 80’s dance party & 90’s prom ballads. The liquid reflects the honeyed glow of candle light. Lemon, grapefruit, and wet limestone float about. Crispy waves of acid splash over jagged minerals. The finish lingers…the bright acidity begins fades into the darkness. The melancholy melody floats heavy in the air…broken only by flashing smiles and laughing faces. Nose : Slightly grassy nice flesh fruit aroma. Lemon, grapefruit, tart apple and touch of herb on the nose. Enjoyable Sancerre. Crisp and fresh with citrus and grapefruit flavors. Nice acidic and a long enjoyable aftertaste. Nose: clean, medium intensity, green Apple, pear, lemon zest, guava, grassy. Palate: dry, high acidity, medium alcohol, medium (+) body, medium (+) intensity, medium (+) finish. Green Apple, pear, lemon, nectarines, guava. It’s about 2 years old, still drinkable but not for Long. Ce vin ne s’abine pas seulement avec le poisson mais aussi avec des autres aliments . Après le Pouilly, le Sancerre du même domaine. Plus fin et floral, encore meilleur au final. Fresh, citrus tones, efflorescence after tones, would pear well with shellfish. Green pepper, flowers, minerals, high acidity, green apple on the palate, perfect to drink young, fresh and intense! Lemon green colour, light intensity. Strong and steely vegetal greens greet the nose. Asparagus, celery, grapefruit, lime, melon and pear. Off dry, high acidity, medium high alcohol, chalky, minerals, grapefruit, lime and lemon zest on the palate. Medium finish. Straw lemon shades, initial cool fruity melon and green apple aroma… was doubtful – asparagus but happily it’s there on the nose at the end. Light bodied, surprised by light acidity (edit apparently Sancerre 2015 vintage experiencing low acidity) can feel the alcohol, enjoyable medium length with a mild lemon citrus and pomelo finish. I like this. Delish sancerre from WTSO. Get more. Fruity and crisp. Excellent summer wine. Subtle grapefruit note on the palate, slightly tropical on the finish. Color brillante y con una coloración amarilla pálida, una vez que aireamos el vino aparecen aromas intensos de hierba fresca, hinojo, con fruta cítrica ( limón, lima ) y un toque de piña. Puede que haya gente que note aromas florales, en mí caso no los he percibido. En boca es un vino fresco, acido con un buen equilibrio, muy cítrico y buena persistencia. Nice,smooth finish. Great pairing with a soft creamy cheese like a Brie. Fruity with a clean finish. Not very oaky. Had this with fish and it complimented it well. Fresh white that wasn’t too fruity. Excellent value. Green apples, lemongrass and maybe some citrus notes. Refreshing! 85. Erbaceo, pomodori, lime, mela verde, minerale, fresco. Forse un po’ troppo aggressivo. 3.7 forse un pochino giovane comunque una buona beva picevole anche se forse in attesa di completarsi. Una bella mineralitå e acidità che accompagnato a carni bianche ha valorizzato il prodotto. Really interesting nose of bananas and candied tropical fruit like guava and pineapple. Nice light splash on the palate, crisp apple and a bit of green mango. Long finish. Nice dry but citrus flavored white. I’m more of a red drinker but enjoyed this tonight outdoors. I think it is good now- not over the hill at all. Still golden color, with honey, pineapple notes. Quite good. PnP at cellar temperature. Assertive aromas of wet slate, apple orchard, and lemon/lemon zest rise from the glass. On the palate at cool temperatures, the wine conveys a convincing sense of place with a tart, green apple- and lemon-driven attack and mineral-filled midpalate. As it warms, the nose develops pyrazine/jalapeno-like aromas, and the midpalate and finish take on ripe tangerine or clementine fruit/zest qualities. All the way through, the mouthfeel is wonderfully plush, but balanced by fresh, juicy acid. This is a great example of Sancerre! While it lacks complexity to some degree, it is far from a « simple » wine. We will rate it « very good-to-excellent, » 90/100. Crisp and clean with apricot, green apple and citrus on the palate. A hint of the classic grass taste, but only a hint. Great match with shrimp salad. More on the grassy rather than citrus-driven side of sauv blanc. Pleasant and balanced though not a stand-out. Nice weeknight white. Blind tasting. Nice, fine and little bit shy expression of sauvignon, exotic, lilly of the valley, mineral. A bit short. But nice for appetising.